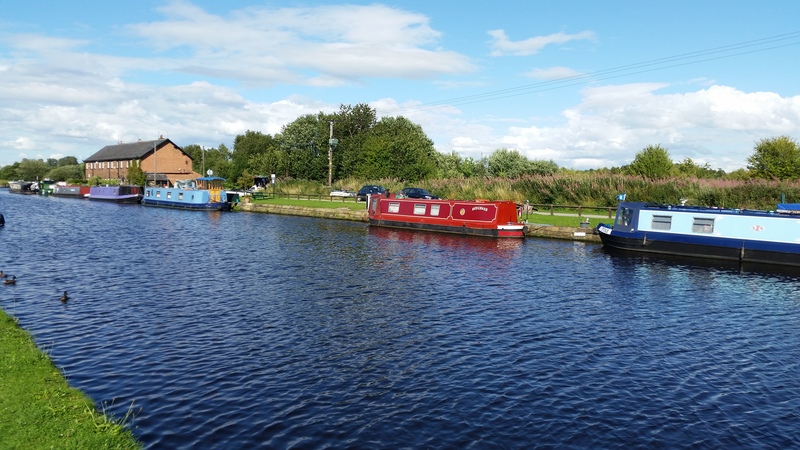 Stanley Ferry is a popular mooring site located on the Aire & Calder Navigation in West Yorshire. It was here that the famous Tom Pudding tub boats were once loaded with coal before setting off in long trains along the canal to Goole. Nowadays, this semi-rural area provides a picturesque and friendly environment to moor your boat. The linear moorings cover an area of over 900m and are split into four areas, A, B, C and D, positioned on both sides of the canal. There is currently space for up to 57 boats. The moorings are at Stanley, three miles from Wakefield and are accessed from Ferry Lane, just off the A642. Facilities are available in the CRT facility building on the opposite canal bank, across the footbridge over the canal. They are for the use of all customers. The car parking area is on the opposite side of the canal at the bottom end of the Stanley Ferry public house development. This car park offers limited parking on a first come first served basis, and is for the use of all customers. Mooring rings are installed at the site and may need to be shared with neighbouring boats. Electric hook-up is available with Zones A and B only. Please check the listing details carefully before purchase. Vehicle access to the site is through Eastmoor Estate and along the access road running adjacent to Zone C. There is no parking on Zone C so all vehicles must be parked in the area provided and not alongside boats. All customer items must be stored on boats and not on the surrounding land areas. The moorings are along the towpath/access road and are available to view at most times. If you do visit the site, please have respect for other users.